When it comes to celebrity divorces, T.I. and tiny’s ongoing divorce is surely a unique one as they’ve been going back and forth on their divorce for three years. In 2000 the couple started dating and got married on July 30, 2010 in Miami Beach. Their relationship resulted in the VH1 reality television show, T.I & Tiny: The Family Hustle. Unfortunately things started to fall apart and the ex-couple separated. First request of divorce was reportedly filed by Tiny on April 2. 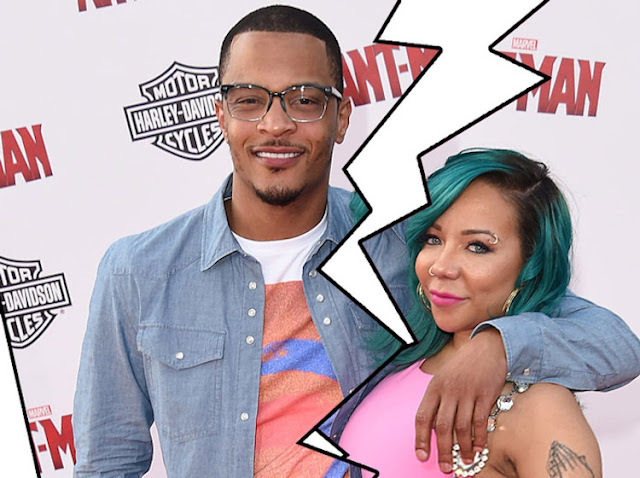 The Xscape singer filed for divorce in 2016, citing “irreconcilable differences.” But later, she blamed the split on Tip’s alleged infidelity during an episode of their popular show T.I. & Tiny: The Family Hustle with an intense discussion at a restaurant. According to Tiny, T.I. cheated on her with the unnamed woman which she hired was the reason why she moved into her own home. “For those who don’t understand, Tip had some infidelities with a girl who I hired. And that girl is one of the reasons why I got my own house,” Tiny said during her confessional. But lately It looks like there’s still hope for T.I. and Tiny’s marriage. Tiny could be having second thoughts, as her lawyers have requested a second leave of absence for the case, according to a source. She previously have made two leaves of absence to delay the proceedings. Their relationship might be going towards a possible reparation as no court action has been taken for many months now. Earlier, Tameka, 42, said during The Wendy Williams Show that she and the rapper, 36, are still married and figuring out their relationship as they go. The couple Have 4 children: One daughter Zonnique Pullins (Zonnique Jailee Pullins) (born. March 20, 1996) with her ex-boyfriend Zebo Pullins; two sons, King C'Andre Harris (b. August 25, 2004) and Major Philant Harris (b. May 16, 2008), and one daughter, Heiress Diana Harris (b. March 26, 2016), with husband T.I.. Her another daughter with T.I., Llayah Amour Harris, was stillborn on March 21, 2007. Tameka ‘Tiny’ Harries Cottle is an American singer-songwriter from Jonesboro, Georgia. Cottle rose to fame 90s as a member of the American multi-platinum R&B vocal group Xscape. Her nickname ‘tiny’ is because of her small stature of 4’11". Clifford Joseph Harris Jr. (born September 25, 1980), known professionally as T.I. and Tip is an American rapper and actor. He has released nine studio albums, in which seven reached the top five of the US Billboard 200 chart. The two starred in their hit reality TV show T.I. & Tiny: The Family Hustle which has 6 seasons and explores T.I. 's home life as he is reunited with his wife, Tameka, and children after serving a 12-month prison sentence. The series follows the rapper at his most vulnerable, as he re-acclimates to being a father, husband and musician.